Every year there are trends in every field and the health and wellness industry is no exception. Diet trends come and go and this is what makes them trendy. This doesn’t mean that all diet trends have no value. However, some health trends can be ridiculous, ineffective, or even dangerous. This nutritional approach was based on a book that claims the diet of our hunter-gatherer ancestors who ate fish, meat, seafood, chicken, nuts, seeds, eggs and fruit was the healthiest type of diet. Most tubers, dairy products, legumes, processed foods, white flour products, and added sugar are some of the foods not allowed on this type of diet. This diet is what I would classify as one of 2013’s good diet trends and although it is not perfect by any means, it has some health benefits. I like the fact that the diet is devoid of refined white flour products, processed foods, dairy products, sugar, and junk food. It contains organic, free range meats and poultry, and encourages abundant consumption of fish and seafood. This diet is also high in vegetables, nuts, whole fruit, seeds, and eggs, keeping the protein and fat at moderate amounts and the bad type of carbohydrates at bay. This diet has obvious health benefits like improving insulin sensitivity and keeping inflammation levels very low. If you want to live a long and healthy life, that is a very good thing! I would like to see the addition of some whole grains like oatmeal and lower fat dairy products including Greek yogurt added to the mix. If you also add in the missing legumes, you have a power-packed diet that is very sound and wise. Unfortunately, the CrossFit community has made this diet their own, claiming that our forefathers also stayed fit by performing similar feats of physical fitness on a regular basis. Well, I am not sure about that but you don’t have to go to a CrossFit class to enjoy the benefits of this diet. 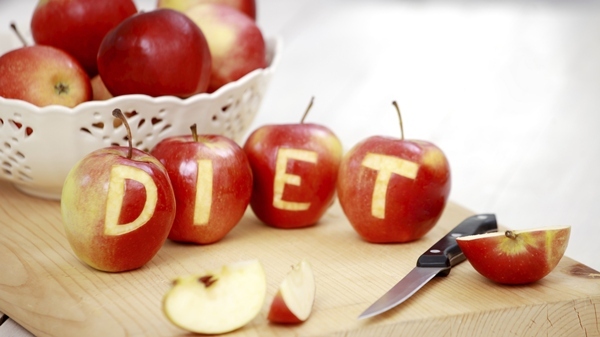 The bad trend of 2013 has to go to this diet. Most folks have no health problems after eating gluten yet the latest craze is to avoid it. The fact that your health has improved after excluding gluten, as some people claim, is probably due to the food you’re eating and not the actual elimination of gluten. There are a number of foods that are labeled gluten-free which are not that good for you and also may contain a lot of sugar, additives, fat, and trans fat. Although excluding bread products from your diet is a good idea in my opinion, the gluten contained within has little to do with it. Consuming nothing but small portions of baby foods in jars is a way to provide your body with a small amount of poor quality nutrition while placing you in starvation mode. Not only is this damaging to your metabolism causing rebound weight gain but the low-calorie environment it places you in is only going to reduce your weight temporarily while stripping your body of much-needed muscle. Of course, you could always just inject yourself with HCG while eating a 500 calorie per day diet. The HCG produced in pregnancy could stop hunger signals in the brain and encourage fat oxidation, right? Wrong! This is the ugliest diet trend of 2013 and for very obvious reasons.